The first week of February is Burn Awareness Week and the g oal is to educate people on how they can protect themselves and their family from burns and scalds. A burn can occur just about anywhere, at any time. the dangers are everywhere but by being aware of them, you can take the steps necessary to protect yourself and your loved ones. Here is a good place to start in the fight against burns and scalds. First and foremost it is important to know that electricity is dangerous. Electrical burns can result when a person touches electrical wiring or equipment that is used or maintained improperly. Typically, such burns occur on the hands. Electrical burns are one of the most serious injuries you can receive. They need to be given immediate attention. Additionally, clothing may catch fire and a thermal burn may result from the heat of the fire. Electrical burns do not always show on the skin and when they do they often appear minor. However, damage can extend deep into the tissues and organs beneath your skin. Other more severe injuries can also occur from electricity and should be treated immediately. Scalds are another major concern when it comes to burn awareness. In the home, s calds are more likely to occur in the kitchen or bathroom. But there are a few precautions you can take to help prevent scalds. 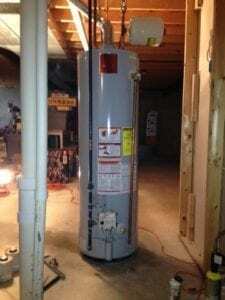 The first step is to ensure that your water heater is set at a safe level. 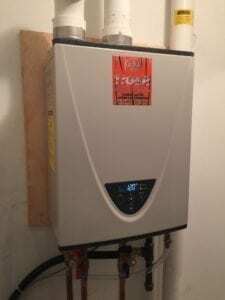 Most water heaters allow you to set the temperature but have a manufacture default water heating setting. 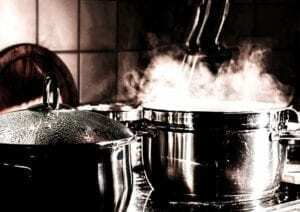 It is best to set the temperature yourself and ensure that it’s not hotter than 115-120 degrees F. By lowering the water temperature settings, you’ll reduce the risk of scalding water burns. If you’re not sure how to set your water heater temperature our professional plumbers will be happy to help! And be sure to ask about an Anti-Scald Device for added safety! There are other step s you can take to protect yourself from scalds in the kitchen. Allow food and beverages time to cool before consuming. Use caution when removing items from the microwave. Also use oven mitts when removing items from the stove or oven. And avoid putting your face or other body parts over a steaming pot. 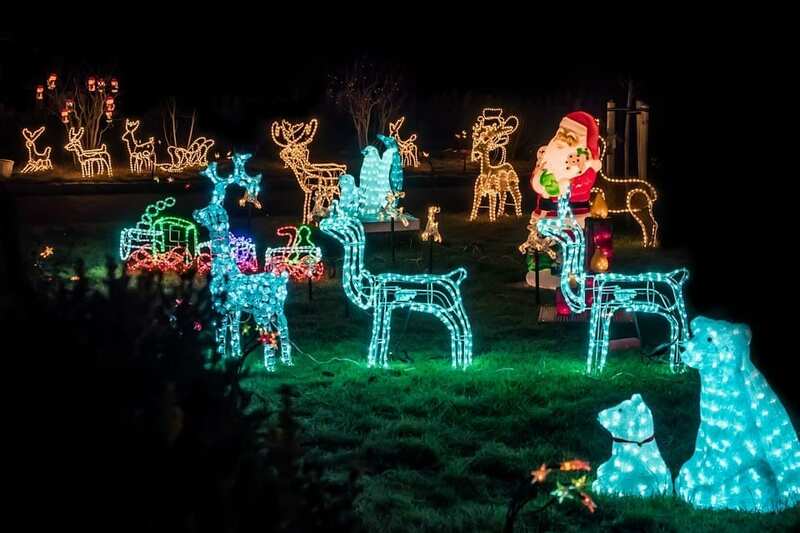 Everyone loves holiday lights! 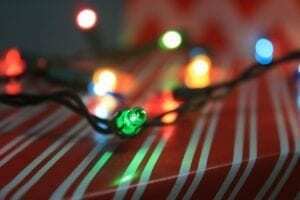 They’re festive, bright and available in so many different fun colors, but it’s important to inspect each strand you use for frayed wires or loosened bulbs that could pose a fire hazard. It’s tempting to leave those cheery lights on all night long but it’s best to let those lights rest. Plus, leaving that many lights on around the clock will leave you with an unpleasant surprise in January when you open your power bill. Loose lights are a serious tripping hazard. Especially for small children or pets. If you have small children in your home, those wire hooks on your ornaments can be really dangerous. Instead, swap those hooks out for some festive ribbon or string. This is another tip for homes with children and/or pets (or clumsy adults). Glass ornaments are fragile and will likely break if they fall from the tree. And the last thing you want is broken glass everywhere. Holiday bells on your tree not only make great decorations but they’re also a brilliant warning system if little hands or paws get too close to the tree. Pets and small kids sometimes can’t resist grabbing a hold of colorful objects and popping them in their mouths. That’s why it’s wise to spring for larger ornaments. 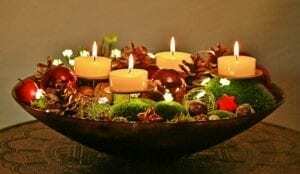 Candles unquestionably add a little extra holiday flare. Just remember to be smart and never leave them unattended. Ladders can be dangerous and you never want to use them to hang decorations unless someone is with you, just in case. If you’re opting for a real tree this year, you’ll want to ensure to pick one that’s not a dried out fire hazard. Look for a tree with green, healthy needles are that harder to remove. Check the trunk and make sure it’s sticky to the touch. Give the tree a good shake or bounce on the ground, if a lot of needles fall, the tree is dried out. Don’t place the tree or other decorations too close to the fireplace. And when decorating the fireplace, make sure that your stockings, garland and other decorations are hanging high and away from the flames. 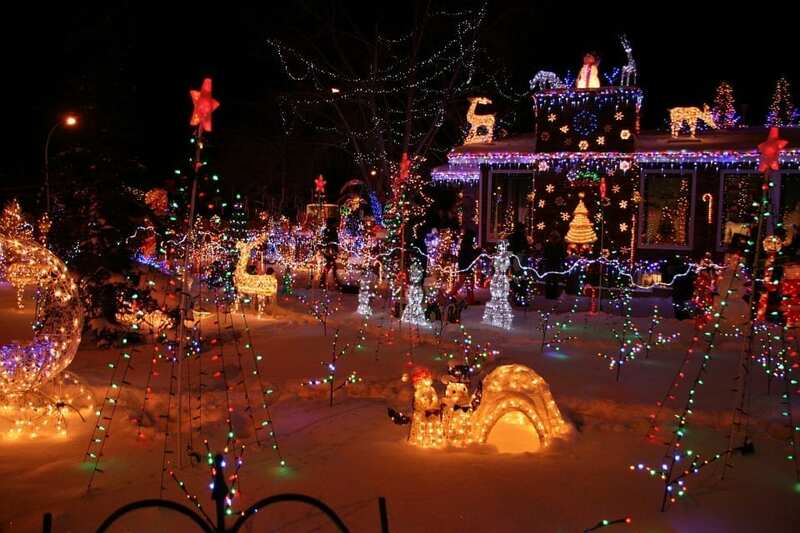 On average each year there are 150 House fires caused by holiday lights. Do contact a professional electrician to have an electrical audit performed, to ensure that your home is ready for all of your holiday decorating fun! To learn more about holiday electrical safety call us at 1.888.9TIGER4 or feel free to check us out online at TrustTiger.com. November is Child Safety and Protection Month and your home can be very dangerous for your kiddos. 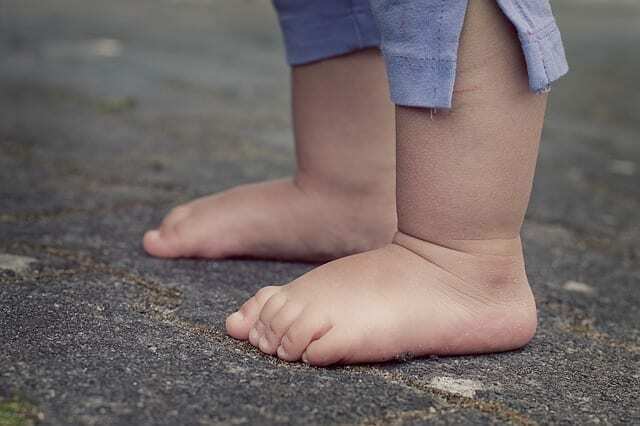 You want to keep your kids and family safe and you think you’ve child proofed your home well enough, but maybe there are a few safety issues you’re overlooking. Check out these simple home safety tips, design to protect your children. Most wate r heaters allow you to set the temperature but have a manufacture default water heating setting. It is best to set the temperature yourself and ensure that it’s not hotter than 115-120 degrees F. By lowering the water temperature settings, you’ll reduce the risk of scalding water burns. If you’re not sure how to set your water heater temperature settings our professional plumbers will be happy to help! And be sure to ask about an Anti-Scald Device for added safety! You don’t know what toxins, debris, pesticides and other harmful elements maybe on your or your guests shoes. Having a good welcome mat that you and your guests can use to wipe a way dirt and debris is extremely helpful. To help prevent shocks, electrical burns and possible electrocution, GFCIs should always be used in all kitchens, bathrooms and anywhere water might come in contact with an electrical outlet. GFCIs are designed to shut off when they come into contact with water. So if you drop something in a sink full of water, the appliance should power off before it can cause a shock. (But you still should keep electrical appliances a way from water, just to be safe). Most homes should already have GFCIs installed, but if your home is older or if additional outlets have been installed, you’ll want to ensure that they are GFCIs. If you aren’t sure if your outlets are GFCIs one of our Electricians will happily check for you! Just click here to make an appointment. 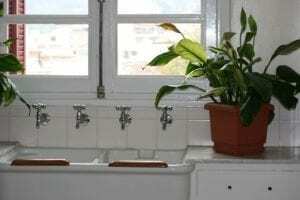 House plants are often used to liven up a home. Just make sure that you do your research before selecting a new house plant. Some children cannot resist munching on colorful plants, so make sure the plants in your home are nontoxic! Keep gas ranges clean, make sure burner bowls are free of matches, grease, paper, etc. Open windows or doors and leave your home immediately! Blocking vents and/or heaters with furniture of any kind is a potential fire hazard. 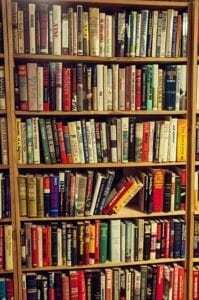 Make sure that you anchor all bookcases and larger furniture pieces to the wall, to prevent them from falling on top of children. Securely mount large televisions to the wall or place them on top of low to the ground, secure furniture pieces. Call 1-888-9TIGER4 or visit TrustTiger.com to have a Licensed Plumber, HVAC Technician and/or Electrician come out to your home and address any safety issues or concerns you may have. Be sure to check out Tiger Plumbing, Heating, Air Conditioning and Electrical Services on Facebook, Twitter, Pinterest, LinkedIn and Instagram for more valuable safety tips for your home! It’s Fire Prevention Day and you may not be aware of all of the potential fire hazards that are in your home. 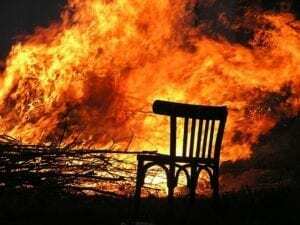 Fire prevention is no joke and ensuring that your home is up to date and that the risks of home fires are minimal is essential for any homeowner. Here are some simple fire prevention facts and tips to keep your home and family safe! Fire deaths are highe st in winter months with December being the most dangerous month for electrical fires. More indoor activities and increased in usage of lighting, heating and appliance are the main causes for the increased number of electrical fires during the winter months. 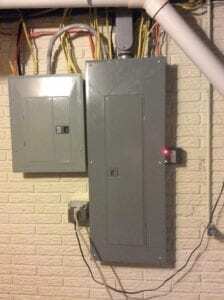 Most electrical wiring fires start in the bedroom. Most electrical fires result from problems with “fixed wiring” such as faulty electrical outlets and old wiring. In urban areas, faulty wiring accounts for 33% of residential electrical fires. Problems with cords and plugs, such as extension and appliance cords, also cause many home electrical fires. Many avoidable electrical fires can be traced to the misuse of electric cords, such as overloading circuits, poor maintenance and running the cords under rugs or in high traffic areas. When buying electrical appliances look for products which meet the Underwriter’s Laboratory (UL) standard for safety. Never overload extension cords or wall sockets. Use safety closures to “child-proof” electrical outlets. Check your electrical tools regularly for signs of wear. If the cords are frayed or cracked, replace them. Replace any tool if it causes even small electrical shocks, overheats, shorts out or gives off smoke or sparks. Keep combustibles such as papers, fluids, paints, curtains and rags away from all natural gas appliances. Make sure burner bowls are free of used matches, grease, paper, etc. Have a fire extinguisher near gas appliances at all times. Use a CO2 or dry-chemical extinguisher for the kitchen. Keep the pilot lights of your gas range lit. If you put them out to save energy, a dangerous gas build-up can occur if someone accidentally turns on the range. Look for a certification seal when purchasing a new gas appliance. This ensures that the equipment design meets strict safety standards. 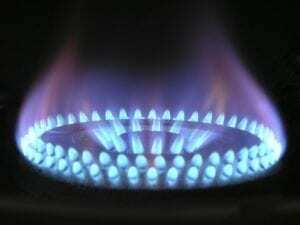 Never use your gas range to heat your home or apartment. This practice creates a serious fire hazard and puts you and your family at risk from dangerous carbon monoxide fumes. Open windows or doors and leave your home. A close inspection will uncover leaks, soot, rust, rot, corroded electrical contacts and frayed wires and other potential fire risks. Cleaning your lint trap after every load will aid in your dryer vent fire prevention plan, but this action is not enough on its own to prevent a clothes dryer fire. According to the Consumer Product Safety Commission, these clothes dryer fires result in 20 deaths, 370 injuries and over $75 million in property damage each year. Periodic cleaning of your dryer vent helps eliminate the risk to your home and family. If you haven’t cleaned or checked your vent in the last four years, you should do it now. Tiger Plumbing, Heating, Air Conditioning and Electrical Services has invested in the proper tools to clean your dryer vent quickly and without leaving a mess in your home. Call 1-888-9TIGER4 or visit TrustTiger.com today to have your vents professionally cleaned. These valves are designed to open up and provide ventilation, if your water heater over heats or pressure builds up. If these valves malfunction and fail to open, the pressure and temperature in your water heater can build up, causing an explosion. For your safety, you should have your temperature and pressure valve checked once a year by a professional plumber. If dust or debris accumulates underneath your water heater it can lead to issues with your combustion chamber hatch, turning your water heater into a fire hazard. For ultimate fire prevention and protection, you should have the area around your combustion chamber hatch inspected and clean by a professional plumber yearly. In the event of a fire, properly installed and maintained smoke alarms will provide an early warning that could save your life. 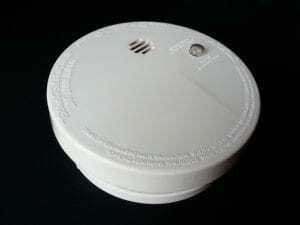 Where Should You Put Smoke Alarms in Your Home? Install smoke alarms on every level of your home, including the basement. 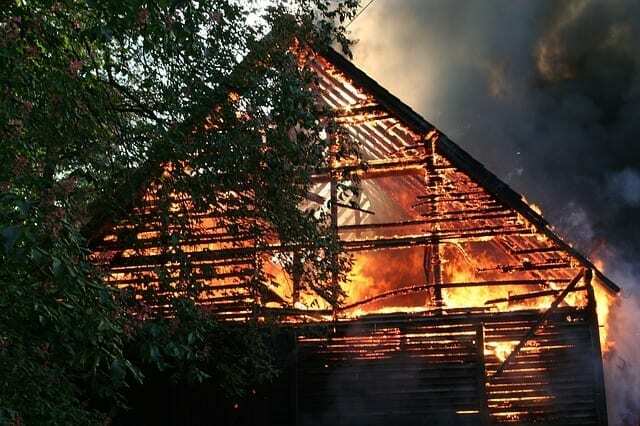 Many fatal fires begin late at night or in the early morning. So for extra safety, install smoke alarms both inside and outside sleeping areas. Since smoke and many deadly gases rise, installing your smoke alarms at the proper level will provide you with the earliest warning possible. Always follow the manufacturer’s installation instructions or have an Electrician professional install them for your piece of mind. Fire prevention is no joke and if you have any concerns about the potential fire hazards of your homes plumbing, heating, cooling or electrical systems call 1-888-9TIGER4 or visit TrustTiger.com to have your systems evaluated for potential fire risks. Be sure to check out Tiger Plumbing, Heating, Air Conditioning and Electrical Services on Facebook, Twitter, Pinterest, LinkedIn and Instagram for more fire prevention advice and valuable information!